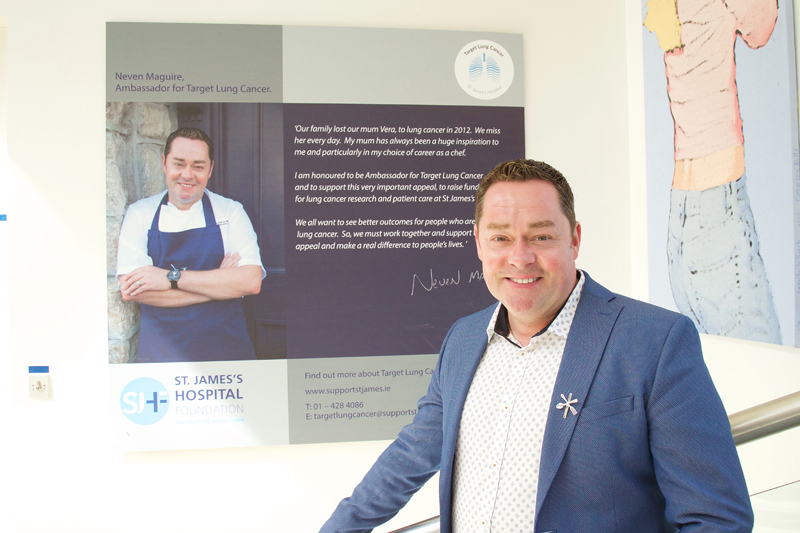 Neven Maguire, award winning chef and restaurateur, supported by members of the clinical team treating patients with lung cancer, officially launched Neven’s Food Festival, in aid of Target Lung Cancer in St. James’s Hospital. The food festival takes place on 1 September 2016, at Clontarf Castle Hotel, where Neven will demonstrate a three-course meal, alongside artisan food stalls, with great raffles and prizes. 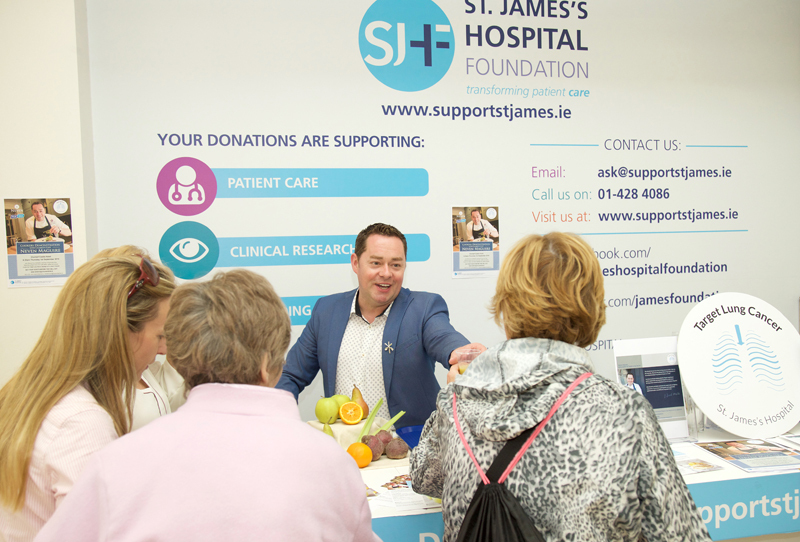 Dr Finbarr O’Connell (Lead Clinician for Lung Cancer, Respiratory Consultant at St James’s Hospital) said ‘St James’s Hospital is a Cancer Centre of Excellence and is Ireland’s largest lung cancer referral centre. 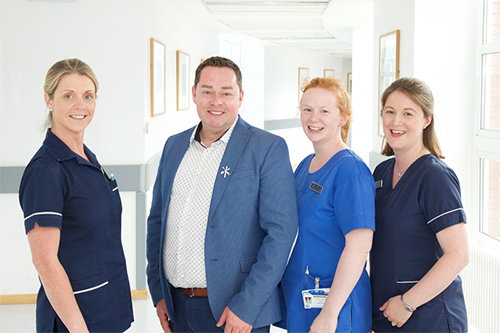 We provide rapid access for diagnosis and staging, and complex multidisciplinary treatment for patients from across Ireland. Our surgeons carry out about 50% of the lung cancer surgery for Ireland including complex lung preserving surgery. We have dedicated medical oncology for lung cancer and state-of-the-art radiotherapy including stereotactic radiotherapy. Our mission is to provide person-centred best care for every patient with lung cancer. “Our vision is to make a sustained and significant contribution to efforts by doctors and scientists worldwide to cure patients with lung cancer. For those we can’t cure, our shared aim with our colleagues globally, is to make lung cancer a chronic disease that can be managed effectively while preserving quality of life”. Professor Stephen Finn, co-director of the Cancer Molecular Diagnostic Laboratory at St. James’s Hospital, said; “Future progress to identify and develop new markers and therapeutic targets for lung cancer will be made possible through the ongoing support of the internationally recognised lung cancer biobank established at St. James’s Hospital in 2004.